Scientific Name(s): Kalmia angustifolia L.
Common names range from the poetic to the descriptive to the eminently practical. A number of common names for Kalmia angustifolia land in the latter part of the spectrum: lambkill, sheepkill, and even calfkill. In addition to names reflecting its toxicity to livestock, Kalmia angustifolia is perhaps best known as sheep-laurel. The toxicity is due to the presence of grayanotoxin I, also known as andromedotoxin (and discussed in detail in the entry earlier this year on Rhododendron tomentosum subsp. decumbens). The Canadian Biodiversity Information Facility provides details on the effects of sheep-laurel poisoning in human and livestock. 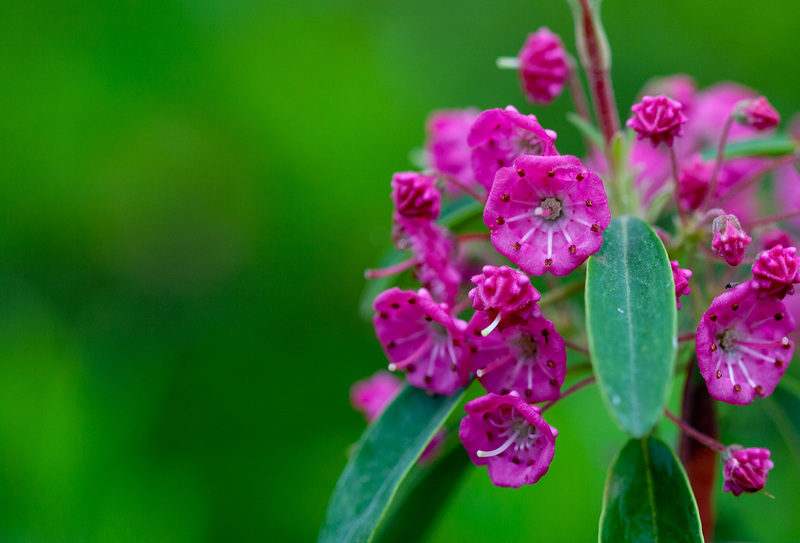 Native to parts of eastern Canada and eastern USA, Kalmia angustifolia is primarily associated with open bog habitats (especially along the drier margins) and dry to moist coniferous woods. 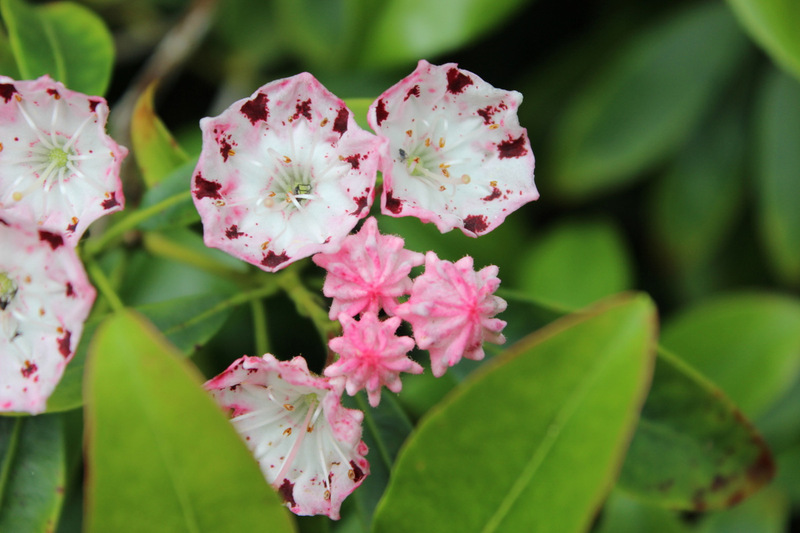 The University of Maine Cooperative Extension Office has additional images of Kalmia angustifolia. One of my favorite native plants! Thank you, beautiful picture! I heard that it shoots its pollen? The stamens are attached to the connate petals and reside in a pocket if you would. As the plant matures and drys a little the stamens will shrink and eventually spring loose from this ‘pocket’ The drying occurs at about the same time that the pollen in anthers of the stamens is mature. Guess who is waiting for this catapulted pollen? The receptive stigma of either that flower or some other flower in the vicinity of the ‘sprung’ pollen. I’ve admired this plant in the wild for many years – and I even have one in my woods garden – but I never knew this about the pollen. Thanks, Barbara, Rick and Daniel! What a great post. I grow varieties of Kalmia in an acid woodland garden in Yorkshire, UK. Here it is thought to be a shrub that is tricky to get established and one that dies out without reason. I had not heard that it was poisonous. Kalmia varieties are always admired when in flower. Thanks for the Botany Photo of the Day series, great plant images and informative notes. Interesting that Kalmia angustifolia is tricky in Yorkshire. This species was planted sometime in the past on the edge of one of the lowland raised bogs in Cumbria UK and is now well established and spreading. It is resistant to both flailing (due to wiry flexible stems) and herbicide application.